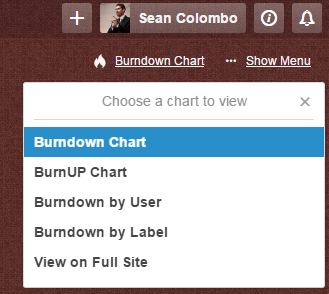 By using the Power-Up, you can view Burndown Charts directly inside of your Trello board. Try it now to find out why Burndown for Trello has been the most popular add-on for Trello for over 5 years! 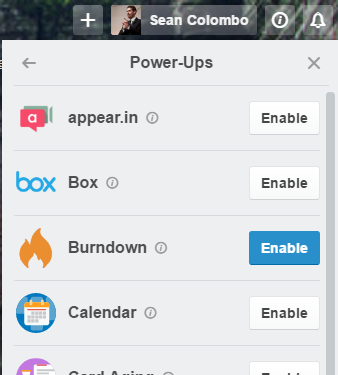 To enable the power-up, hit the 'Show Menu' link at the top right of your Trello board, then choose 'Power-Ups' and click the 'Enable' button next to 'Burndown'. 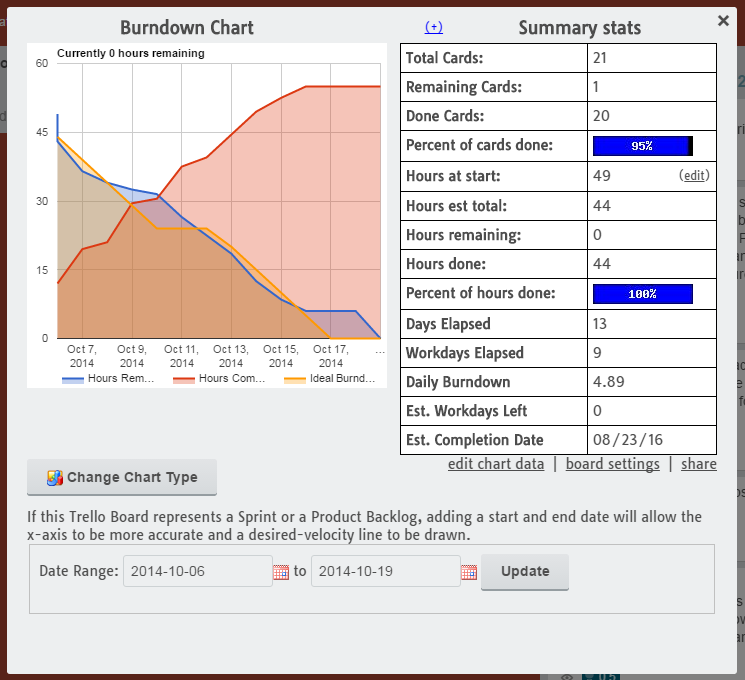 Once you have enabled the power-up, you can open any chart by clicking on the new 'Burndown Chart' link that will appear near the top-right of your board and choosing the type of chart that you would like to view. Once the power-up is open, you will see the view that you are used to as a Burndown for Trello user. Even if you are new to Burndown for Trello, if you use scrum or agile, you will likely recognize the charts and useful statistics. For general Help questions that are not specific to the power-up, please visit the Help page or contact us at any time.